Is it more difficult to be a woman of faith today than in the times of Hagar and Ruth? Russian women from four local churches with Cathy Purcell in St. Petersburg. March 2018. 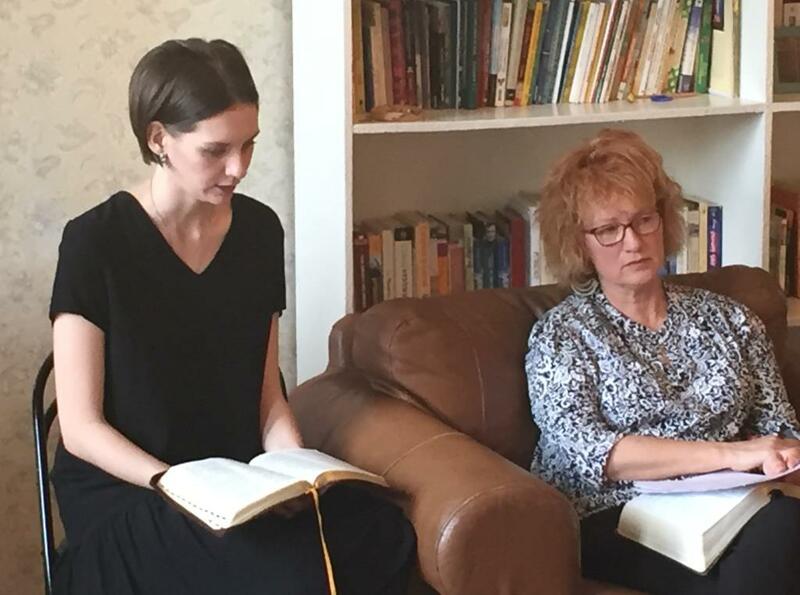 Whenever Blake and Cathy come to Saint Petersburg it is always a chance for us to see Cathy and hear from her about her relationship with God. We all know that she raised 6 children all of whom have done well in life and are being a good influence in the world. 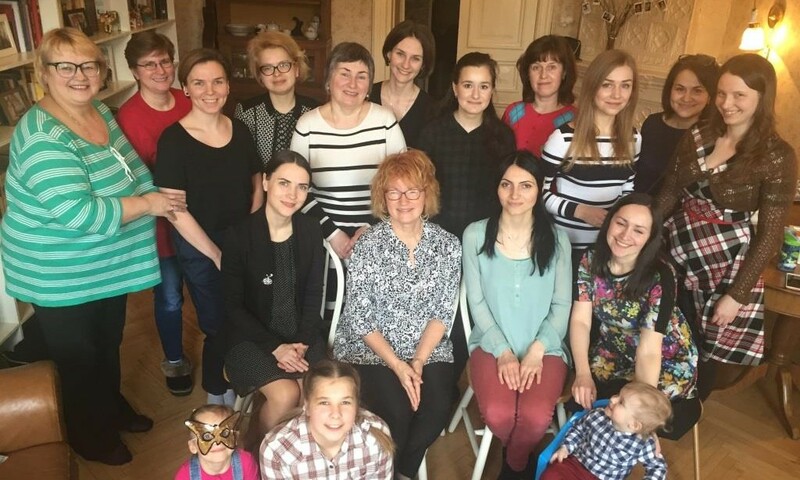 On Saturday, March 10, women from three Evangelical churches and one Russian Orthodox church came to the Purcells' to encourage one another and hear Cathy teach. It's always a treat to hear such an experienced woman talk about how to be a virtuous wife. This time Cathy spoke from the lives of four obscure women in the Bible: Rahab, Hagar, Ruth, and Tamar. Their lives were full of problems. Some of them had terrible stories. But God used them for His purposes and filled their lives with meaning. I'm sure many of the women in attendance often feel obscure but now understand that God uses the obscure of the world to do His work. From L to R: Lewis Purcell helps set up a table; girls show the gifts they received; women chatting; cheescake with macarons - a special treat for all ladies. We had a great time! Whatever are the circumstances in our lives, we know that we're not obscure to the Lord. We remember the words from Proverbs 31:25, "Strength and honor are her clothing". And we will rejoice in time to come! Thank you for making this hope and purpose-giving ministry of Cathy Purcell’s possible through your giving to SRS. Copyright © 2018 Slavic Reformation Society, All rights reserved.